We are building a generation of environmentally and socially conscious young leaders. The Green Institute is the first Nigerian research institution that subsidizes college tuition costs through a waste management program while training leaders that will systematically transform attitudes about environmentalism in Africa’s most populated and polluted country. The institute offers both training and research, in line with some of the challenges listed in the Sustainable Development Goals. Our principal area of concentration is environmental sustainability, but we adopt both a micro and macro-level approach that encompasses relevant studies in the sciences, arts and social sciences. Our onsite campus is located in Ondo Kingdom, Nigeria. We offer Nano-degrees (both on-site and online) with academic programs in Sustainable Science and Technology, Sustainable Business and Entrepreneurship, and Sustainable Social Research and History. The Institute’s faculty of academics and researchers in environmental sustainability bring a wealth of experience to challenge students to grasp the ever-evolving challenges and nuances of the Green Movement. Part of the appeal of The Green Institute is our inclusivity. While we will accept tuition-paying students, we will also fund students through our Trash for Education Scheme. The program works by allowing students to earn credits for valuable wastes that they collect. The trash credits can then be redeemed for books and tuition fees. The commitment to purchase the trash is made by the state government and private corporations who will buy it at a set price from our institute. The Green Campus Initiative is advocates for and encourages students to adopt more sustainable and environmentally friendly practices. 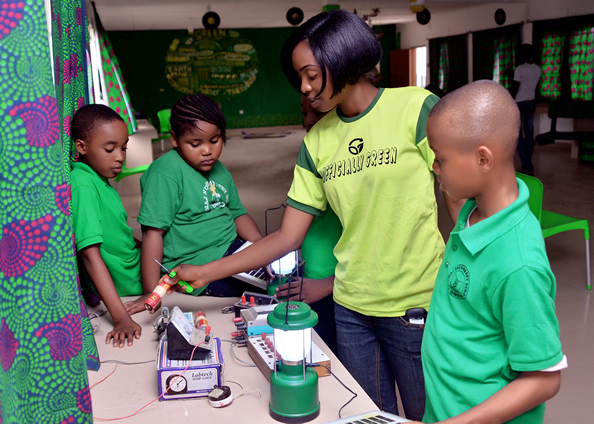 We train university students and equip them with the tools needed to create Green Initiatives on their own campuses. Our centre offers a place for budding entrepreneurs to gather and innovate for social change. Our Entrepreneurs are passionate about creating and developing sustainable solutions to tackling pressing global challenges like environment, climate change, poverty, immigration, health, human rights, gender inequality or any other social issue.